A disturbingly brilliant video filled with much beautiful creepiness ... enjoy! Swatting flies? It's an art really. You have to position yourself and your flyswatter just right and then think like the fly ! The secret is to creep up slowly on him (maybe her), anticipate where he is likely to fly and bring the swatter down a few inches in front of his face. 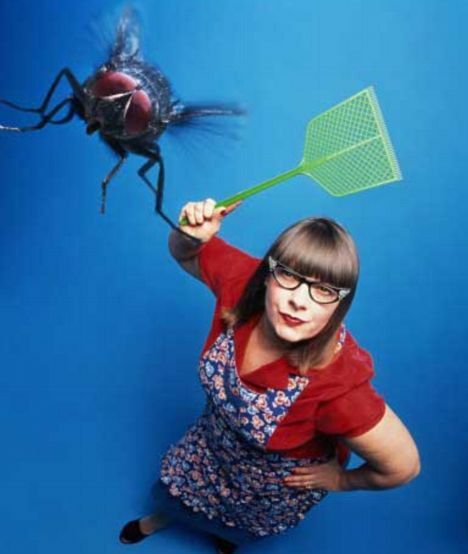 After all, fly swatting can be fun... and it's JUST COOL! They have no mirrors, no cosmetics counter or even a place to shop for the latest fashions. 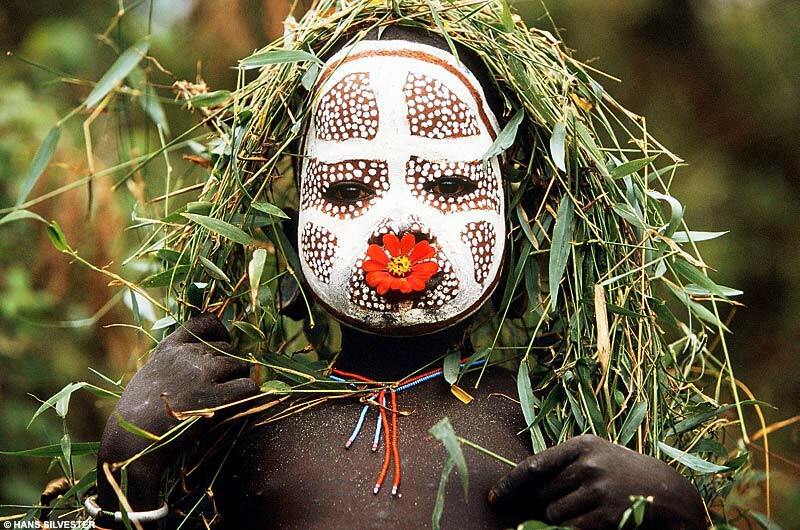 But the African Surma and Mursi tribes have no trouble using what Mother Nature has to offer when dressing up in imaginative and colorful tribal couture. 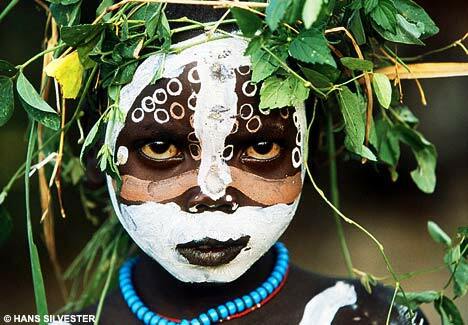 Unfortunately the origins of this age old tradition have been lost over the years - the Surma and Mursi spend much of their time involved in tribal and guerilla warfare because their homeland is a hotbed to the arms and ivory trades. 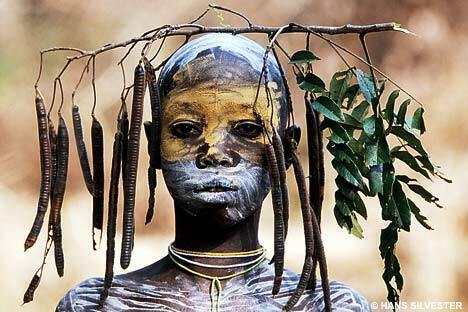 Photographer Hans Silvester had the priviledge of photographing these people and brings us a glimpse of their lives and their unique tribal fashions in his book Natural Fashion: Tribal Decoration from Africa . Starred Review. 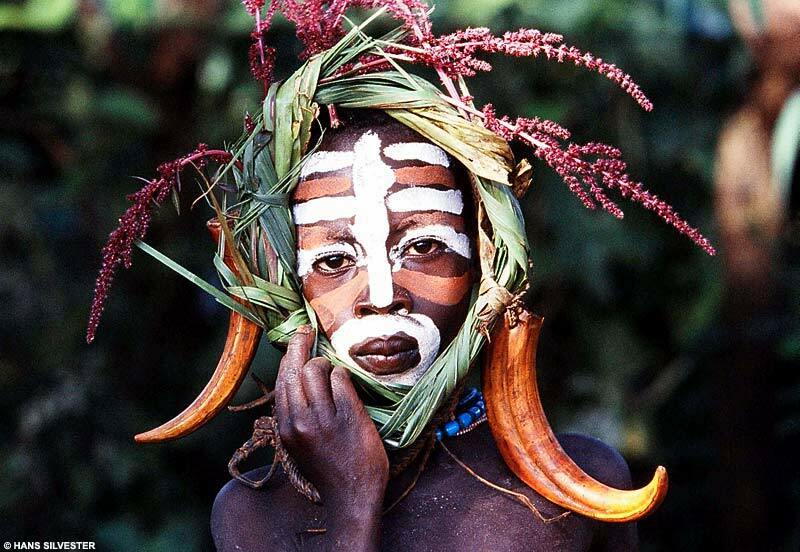 In this stunning collection of photographs, Silvester (Ethiopia: Peoples of the Omo Valley) celebrates the unique art of the Surma and Mursi tribes of the Omo Valley, on the borders of Ethiopia, Kenya and Sudan. These nomadic people have no architecture or crafts with which to express their innate artistic sense. Instead, they use their bodies as canvases, painting their skin with pigments made from powdered volcanic rock and adorning themselves with materials obtained from the world around them—such as flowers, leaves, grasses, shells and animal horns. 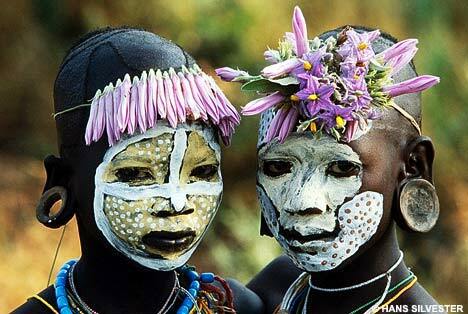 The adolescents of the tribes are especially adept at this art, and Silvester's superb photographs show many youths who, imbued with an exquisite sense of color and form, have painted their beautiful bodies with colorful dots, stripes and circles, and encased themselves in elaborate arrangements of vegetation and found objects. This art is endlessly inventive, magical and, above all, fun. In his brief text, Sylvester worries that as civilization encroaches on this largely unexplored region, these people will lose their delightful tradition. 160 color photographs. Doggles are just about the coolest thing in eyewear for your dog. 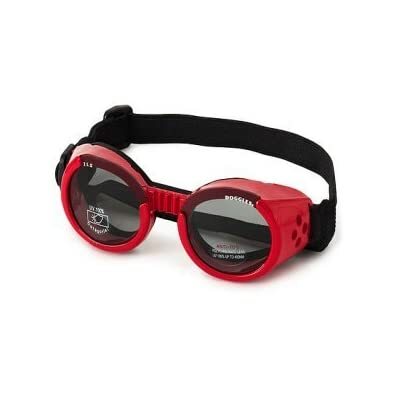 Cleverly designed to protect dog’s eyes from foreign objects, wind, and UV light, they arent just any old sunglasses. Snug fitting and stylin' , these shades are a must have your pooch on the go. 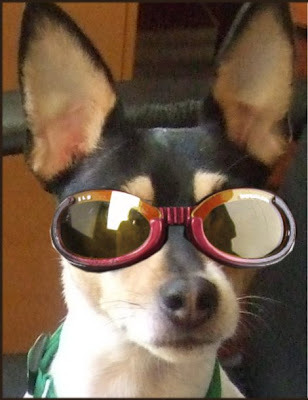 Poppy Petunia approves this message - Doggles are JUST COOL! And they can still cut the chain with wire snips. So what good is it? Even black out shades can be entertaining and this unique handmade roller curtain by Elina Aalto from Fiasco Design certainly is. 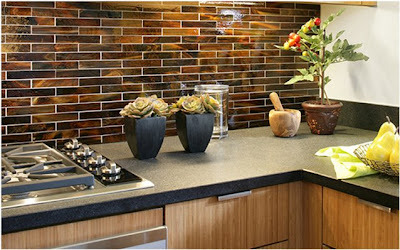 It can be custom made in different city views from Tokyo to Helsinki to The Big Apple. 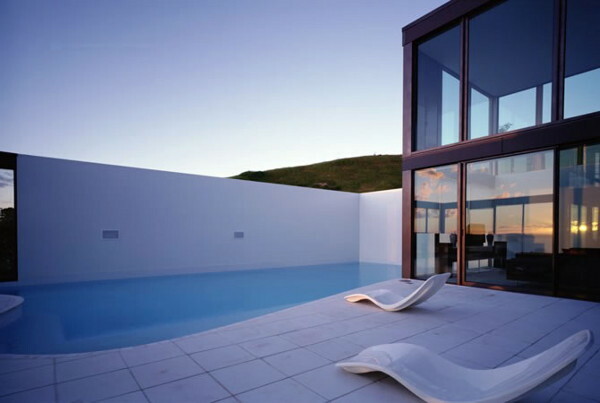 hmmm...never thought I'd be saying that roller blinds were JUST COOL but this one just is! I've always wanted to be a Yodeler! Haven't you? Watch this video and become an "instant Yodeler". 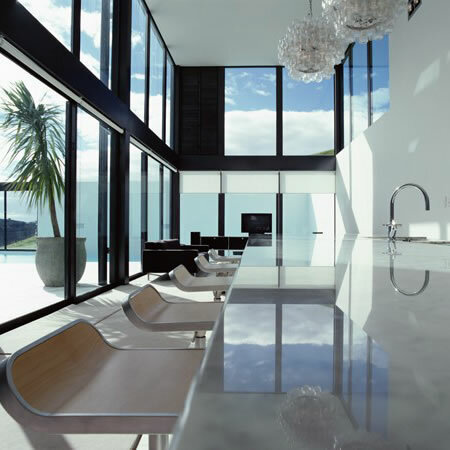 Transparency is what this architectural beauty is all about! 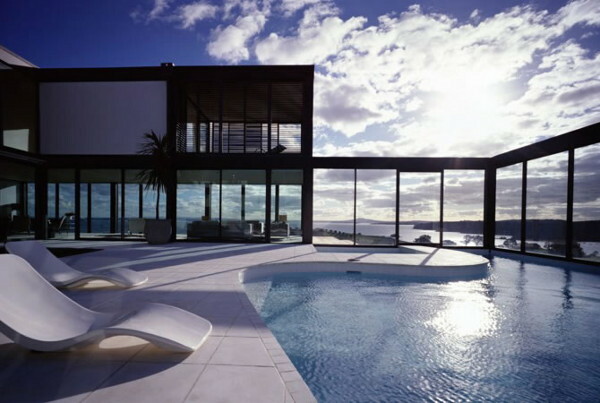 This see- through Woodside Bay home was designed by Hillery Priest Architects and is anchored to the site with three solid towers that are bridged by a floating pavilion allowing for magnificent unobstructed views from every angle. Awwww... the views! This place is JUST COOL! Who says you can't teach an old fish new tricks? 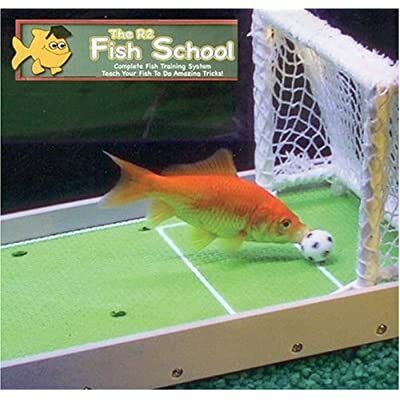 With The R2 Fish School kit you can. Goldie is really smarter than you think and this nifty product proves it. It contains over 20 training devices, including basketball, football and fetch, to teach your orange gilled friend to do a host of uncanny tricks. Holy moly, I couldn't believe it myself, but watch the video and you'll be convinced too! This fish university in a box is JUST COOL! More info after the jump. 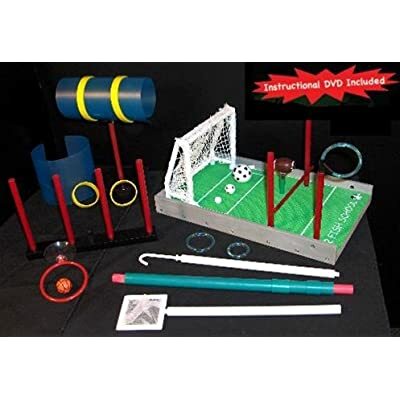 * Includes parts to teach your fish to swim through a hoop, swim up through a chimney, punt a football, finger feed, play basketball, slalom, swim through tunnels, play fetch and do the limbo! Take a trip around the galaxy with these JUST COOL space posters by artist Steve Thomas. I love his retro color palette, the bold graphics and of course his stellar planet theme. Hurry, your spaceship awaits! Fooled ya! These aren't really rocks , but the comfortable creations of Ronel Jordaan. This South African textile designer takes her inspiration from nature, and uses felt to give free rein to her imagination. Socially conscious as well as gifted, Jordaan has set up a women's workshop in Gauteng- Johannesburg-where her personally trained artisans transform interlocking fibers, made from 100% merino wool, into these freeform oversized "stone" floor cushions. Though they may fool the eye, they provide immediately recognizable comfort to weary torsos in search of a relaxing seat. Soft yet buoyant, the veined, smooth textured cushions can be arranged to support seat and back. Children love them. Parents love them. Guests love them, too. Hand washable in cold water. See more of Ronel Jordaan's creations at her website here. 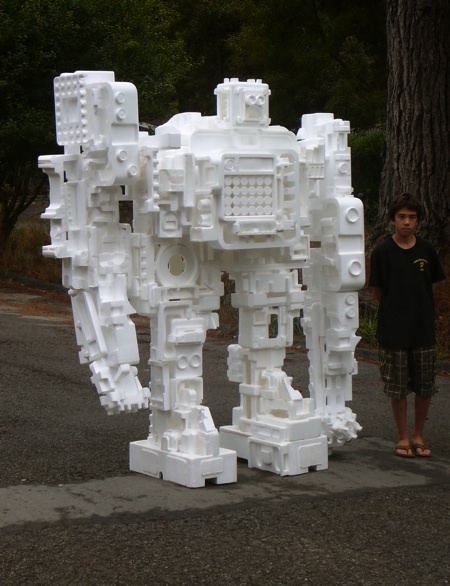 For Geek Dad Kevin Kelly, all it took was five years worth of saved styrofoam, lots of silicone glue, a foam cutter, inspiration from a North Carolina Museum and his building partner son to construct this StyroBot that stands almost 7 foot tall and weighs less than twenty pounds. 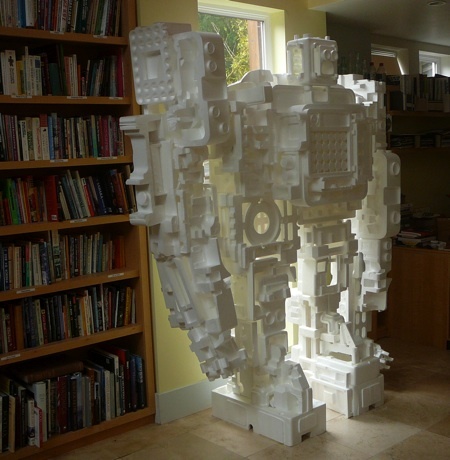 It took many months to build but what a nifty project for father and son, don't you think? 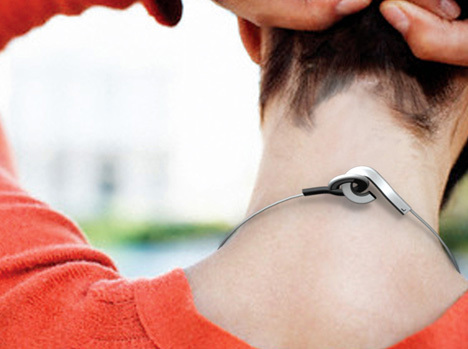 What a cool gadget! 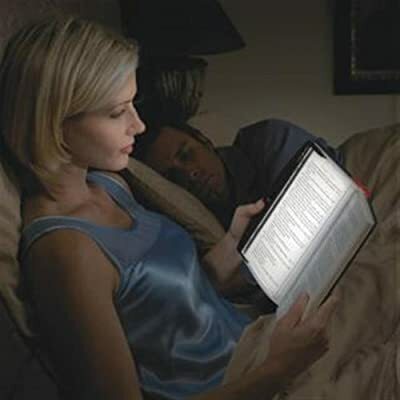 The LightWedge LED Book Light enables nighttime reading without disturbing anyone else. Great for late night reading in bed, or while riding in the car or plane. 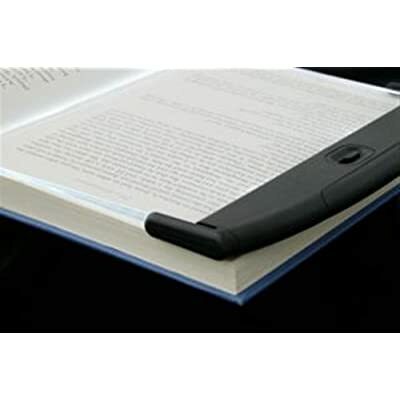 The LED lights skim along the surface of the page-sized acrylic lens providing illumination for just the pages of your book. The lightweight and compact design coupled with the soft carrying case make the LightWedge Reading Light the perfect gift for that reader on your gift list or for you! It's JUST COOL! Get it at Amazon.com with free shipping! 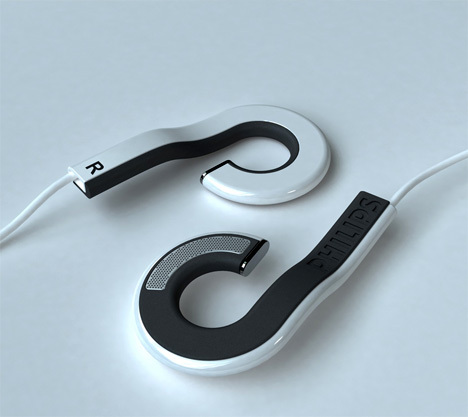 Holeder Earphones - a design concept from Yoonsang Kim. 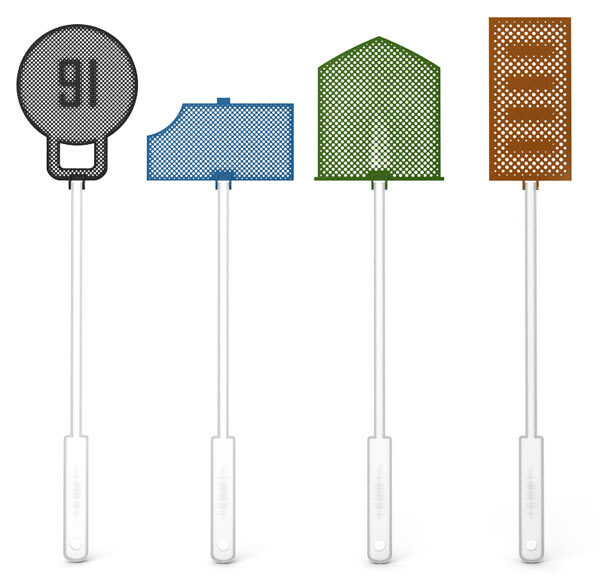 The attractive shape is multipurposed, fitting snugly in your ear, and hooking together around your neck when not in use. Heck it even looks good! 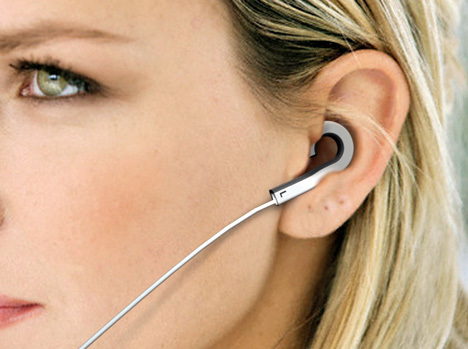 Plus it prevents bacterial growth which is 700 times more concentrated in regular ear buds. Ya gotta love that! These things are JUST COOL ! Now when and where can I get them? World-Renowned architects Pelli Clarke Pelli conceived its streamlined contours by focusing in how The Visionaire will be experienced from within, optimizing natural light and river and city views. A curved curtain wall;; horizontal bands of terra cotta panels and glass casement windows infuses the elegant verticality of the exteriors with the warm residential character of Battery Park City. 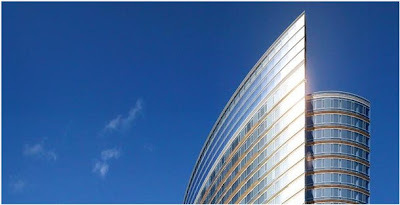 The Visionaire builds on Pelli Clarke Pelli’s integrated approach and deep understanding of sustainable architecture, refining a relatively new field into an art. 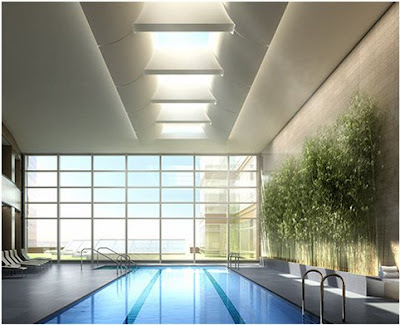 The Visionaire is located at the southern tip of Battery Park City, a 92-acre community with 35 acres of open park space bordering the Hudson River. 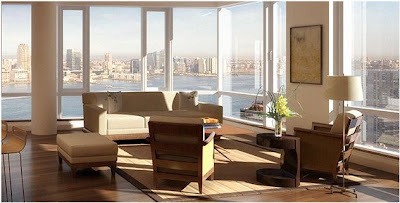 Battery Park City was planned to afford its residents a resort-like life in close proximity to water and easy access to midtown stores, museums and restaurants, the works financial Center, Wall Street, city Hall and Tribeca. Many of our purchasers describe their life in Battery Park City as a gated community without the gates-there us nowhere else in NYC with this type of access to parklands and water. The train lines servicing all five NYC’s boroughs are within five-minute walk and the highways on the East and West sides of Manhattan as well as the ferries traveling to and from Staten Island and New Jersey, are all conveniently accessible. 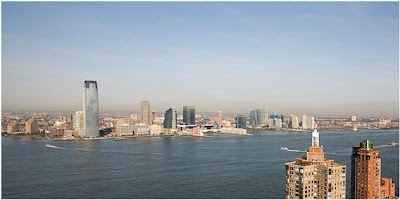 The Building is sited with spectacular views of the Hudson, New York Harbor, The statue of Liberty and soon, the Freedom Towers of the New World Trade Center as well as dazzling city views of both NYC and New Jersey.